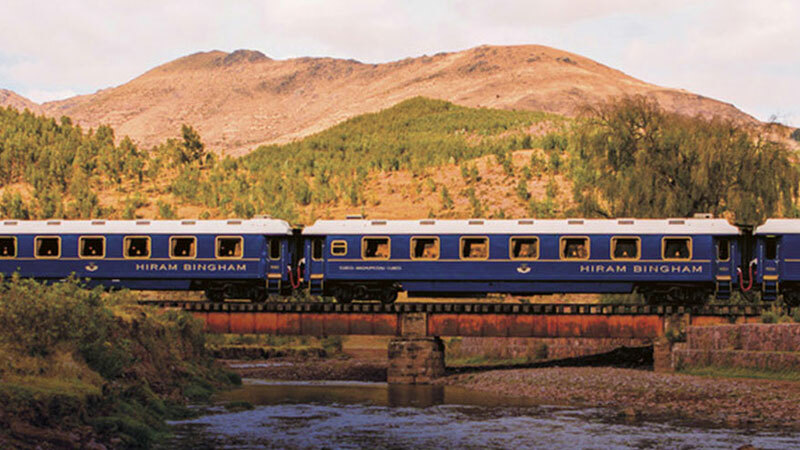 Named after the American explorer who rediscovered the ruins, the Hiram Bingham Express tops the list of ‘best ways to reach Machu Picchu’. 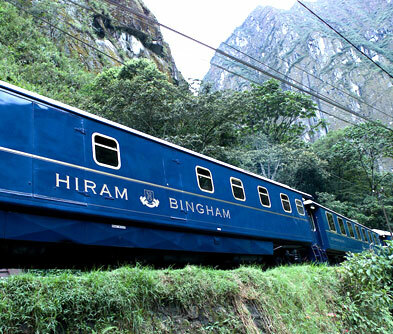 This luxurious train from Poroy to Machu Picchu, spells class every step of the way. 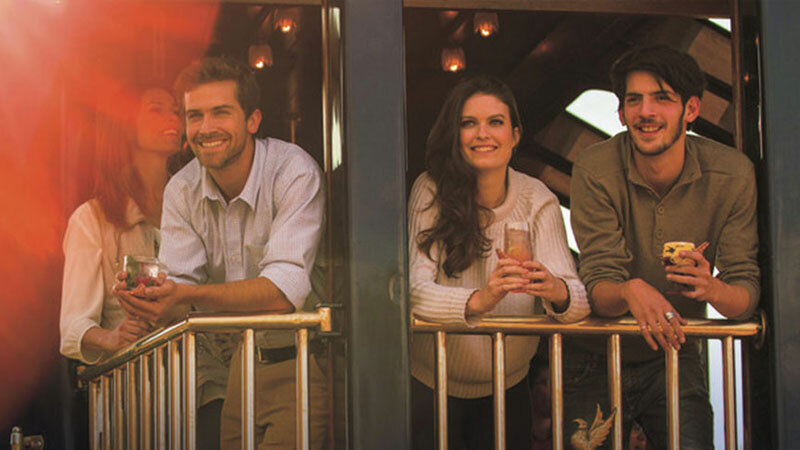 Savour a 3 course Peruvian brunch replete with the finest of local wines, in a fully fitted 1920 style Pullman carriage, while viewing the rolling scenery of the Urumbamba or ‘sacred river’ valley. 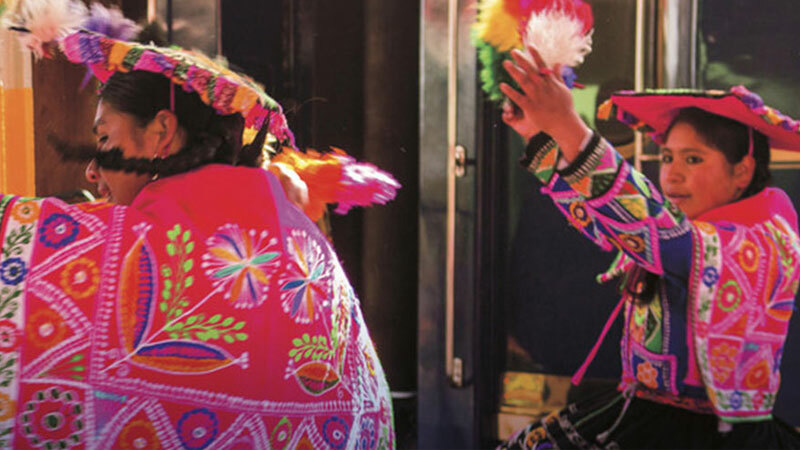 Step on to the observation car to get a better glimpse, or take a break at Cusco and catch its colourful stalls, stone walkways and charming boutiques with Peruvian artefacts. A pre-arranged bus awaits to transport you to view the impressive ruins of Machu Picchu and Huayna Picchu. 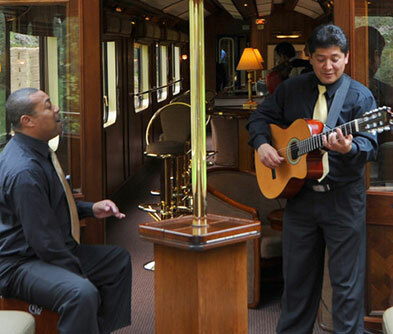 The return journey en train includes more Andean gourmet fare, traditional Pisco sours, live Peruvian music, a fashion show and the famous royal treatment.